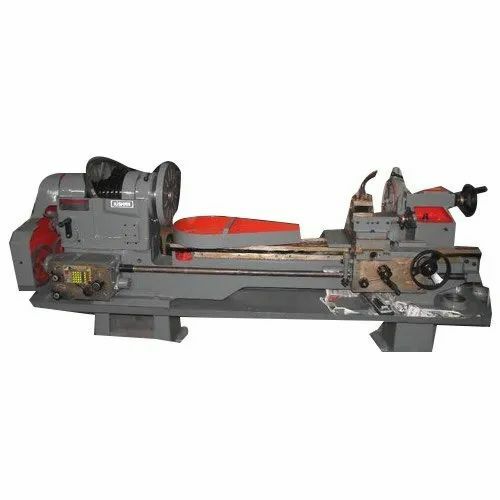 K. K. Tools are a trusted name engaged in manufacturing and trading ofHorizontal Lathe Machines for Tool Room with the simplest design and robust construction and unique quality with appreciated feature. These products are available in various range keeping in mind requirements of our clients. "K. K. Tools" has been established in the year 1972 at Rajkot (Gujarat, India), we are Gujarat based leading Manufacturer of a comprehensive assortment of Industrial Lathe Machine, Heavy Duty Lathe Machines, Geared Lathe Machines, Horizontal Lathe Machines, Coping Lathe Machines, etc. In order to provide our clients with the finest quality machines, the entire range is stringently inspected on various well-defined parameters by our skilled quality controllers. Our offered products are highly acknowledged by our valuable clients for their diverse attributes such as supreme quality, enhanced durability, low maintenance, robust construction, corrosion resistance and high tensile strength. Clients can avail the offered machines from us at the most reasonable prices. Our well-developed infrastructural base plays an important role in the tremendous growth of our organization. We have further categorized this unit into various departments such as procurement, manufacturing, quality control, sales & marketing, etc. The work in these departments is efficiently performed by our very competent and highly skilled professionals, who ensure hassle-free business operations. Our manufacturing unit is fully equipped with the most modern machinery and the cutting-edge technology that assist us to undertake abundant orders of clients and complete them within the promised period of time. All our team members work round the clock in close coordination with each other in order to meet the predefined goals of the organization. Moreover, we regularly organize various training sessions at regular intervals in order to keep our team members updated in respect with the latest market developments. By strictly following our well-defined quality standards, we have been able to satisfy clients that are spread all across the nation. We manufacture our products in conformity with the defined international standards and norms. Our products are tested on various quality parameters using modern testing tools and devices by our skilled quality inspectors to ensure their perfection. We are a client-centric firm and our prime objective is to attain the maximum client satisfaction by offering quality assured products. Our easy payment modes, transparent dealings, client-centric approach, competitive price range and ethical business policies have placed the firm at the zenith of success. We have also gained a wide client base all across the country along with sustaining the existing ones. Under the proficient guidance of our mentor, “Mr. Dipesh Jolapara”, we are able to attain maximum satisfaction and trust of our prestigious clients. His creative ideas and vast industry experience enable us to channelize our available resources in the most efficient and timely manner. We are exporting our machines all over the world.